I love the movies. The popcorn. Big Diet Cokes with lots of ice. (oh, how I loved thee, Diet Coke!) The quiet hush as the lights go down. I stinking LOVE the movies. When Lyle and I lived in Australia, we’d meet in Sydney on Saturdays and watch movies all day long. It made it feel not so far away for a while. Sisser and I have been known to see three movies in one day, and there’s no telling how many I’ve seen all by myself. I just adore ’em. I really do. We won’t discuss at the moment the fact that movies in Colombia are in Spanish. We won’t. I’m coping with it. There’s still the popcorn. What we’ll talk about instead is movie quotes. What’s your all time favorite? Mine? Just one? It’s tough, but “You’re killin’ me Smalls!” ranks up there. Who doesn’t love The Sandlot? I mean, honestly! Now, let’s hear ’em. Leave your favorite quote in the comments. I love movies too, and I don’t really know if I can narrow down to one favorite. Let me see if I can pick a few. Can you tell I have kids? Cartoons from the time the sun comes up until it goes down! 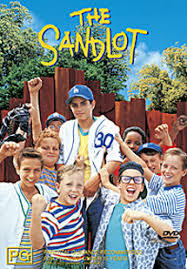 Oh i LOVE the sandlot! Please visit my southern rumors blog and leave me your wonderful insights. Basically I can quote the entirety of Back to the Future. And it makes me happy.